Another tradition for our family Christmas dinner growing up was to pair our oven roasted turkey with canned cranberry sauce since there were no fresh cranberries in Mexico. Sometimes if we didn’t find the canned cranberry sauce we would just use homemade strawberry preserves. When I started living in Florida over thirteen years ago I discovered fresh cranberries, so I started experimenting and fixing my own cranberry sauce from scratch. Cranberries pair well with many ingredients but since lately I have a love affair with persimmons I decided to incorporate this sweet fleshy fruit with cranberries and red wine resulting in a luscious Cranberry Sauce with Persimmon that can be eaten anytime with anything, over ice cream, on cheesecake, on your toast and on your turkey, so let’s cook! Preparation time: 30 minutes. Makes 4 cups. Cost per cup is less than $2.50 dollars depending on the ingredients cost at your local supermarket. You will need a sauce pan, a spoon, a lemon peeler, measuring spoons and cups, chopping block and a knife. Clean the cranberries with running water, then add them to the sauce pan and pour the wine, the sugar on the raw, the cinnamon and the lemon peel. Cook the sauce for 15 to 20 minutes covered. After that time let the sauce rest for 10 minutes before adding the chopped persimmon. 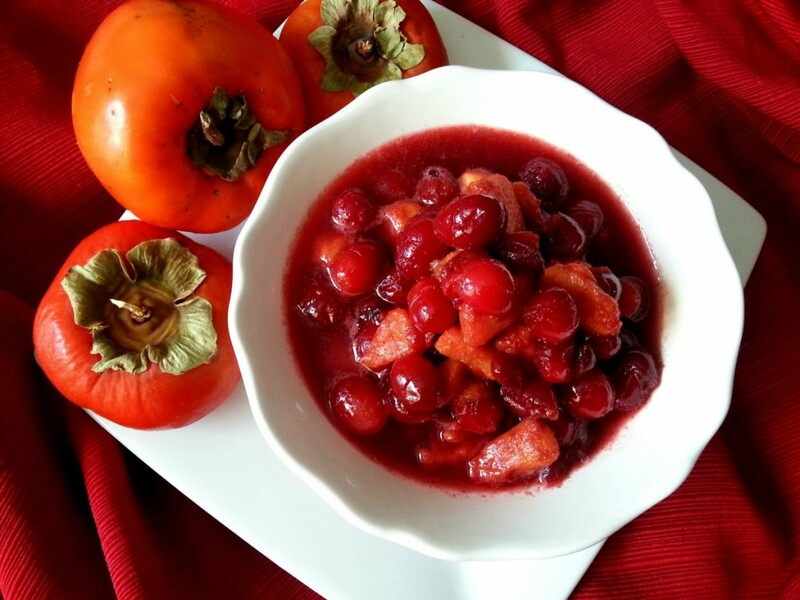 Peel the persimmon, cut in cubes and add to the cranberry sauce. Plate in a nice bowl for your guests to enjoy. This Cranberry Sauce with Persimmon is delicious great recipe for canning using mason jars as a handcrafted gourmet gift for the holidays; believe me it will become a welcome present for family and friends. For us is now this sauce is a yearly tradition and expected in our Christmas dinner to be enjoyed alongside our oven roasted turkey and cornbread stuffing. Excellent idea to make some handmade gifts !! Gracias! Super yummy! La quiero hacer! Y cuando la hagas me avisas que tal te gusto besos! Wow! It’s really looks delicious! Y es tan facil de hacer saludos! Esto se ve delicioso. 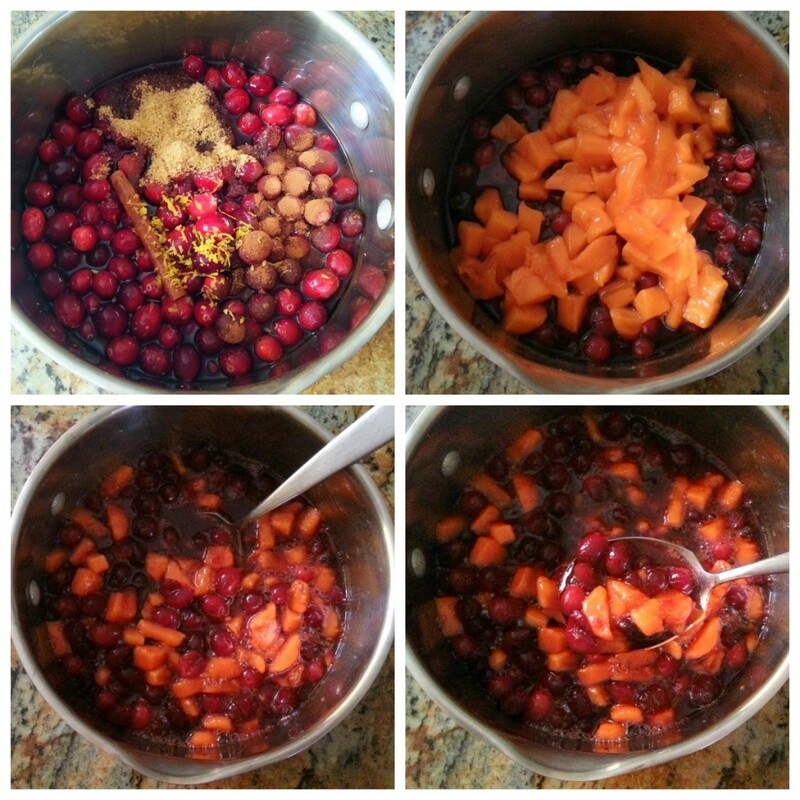 Still have some cranberries in the fridge, I will be making this for sure! Wow Adri what a combination!!! Merry Christmas!!!! Looking forward to reading many more mouth watering suggestions! Many thanks Taty likewise best wishes for you and your family! I’d love for you to share your awesome at my Show Me Saturday linky party this weekend. We go live each Saturday at 7:00am EST. My readers would love this! Hi Ashley many thanks for your visit and kind comment I absolutely love persimmons and for me are like a treasure since those are difficult to find in my market. I would be delighted to include my presence in your linky party. Saludos! This sounds like a wonderful twist on Cranberry Sauce! Yum! This is amazing! I switched up my cranberry sauce this year, too, but never thought to use persimmon. Great job! what wonderful take on a classic dish! 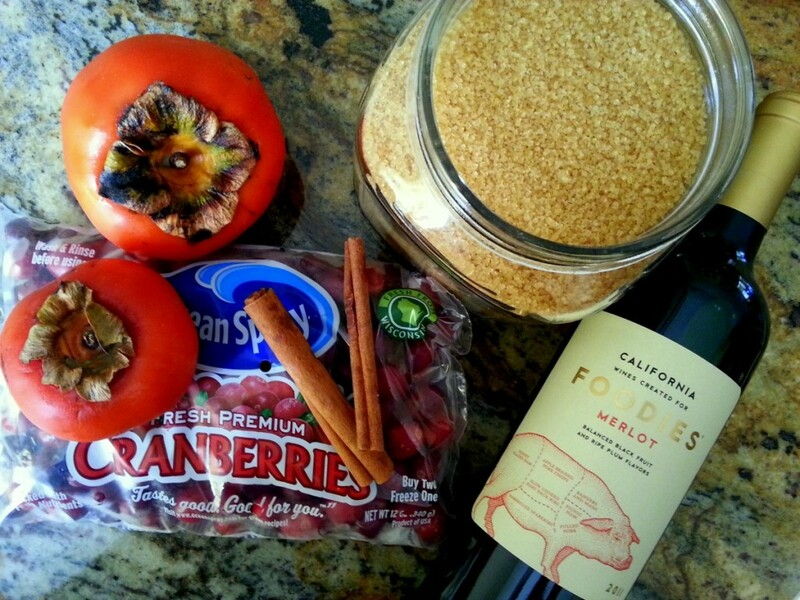 I love adding wine to help flavour certain dishes! This sounds absolutely wonderful! How delicious is this! 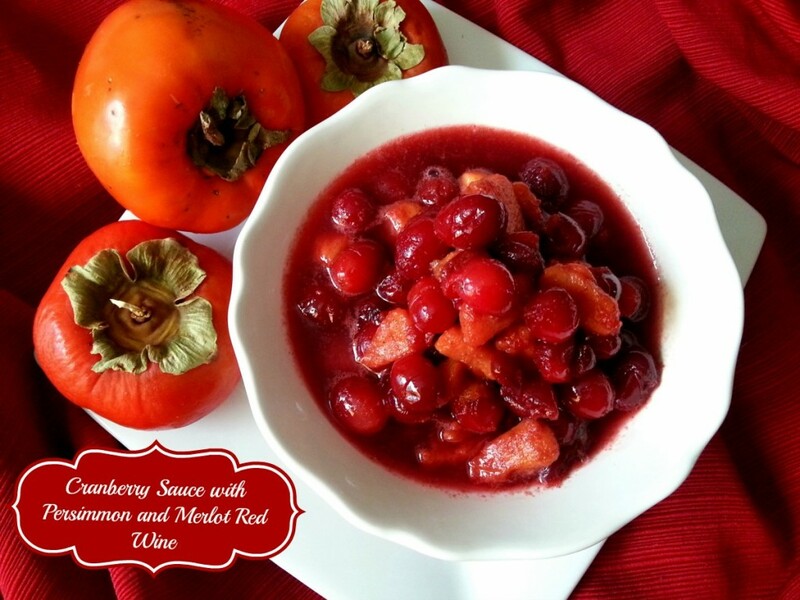 I can just imagine how very flavorful this cranberry sauce is with the added red wine and fruity burst from the persimmon!